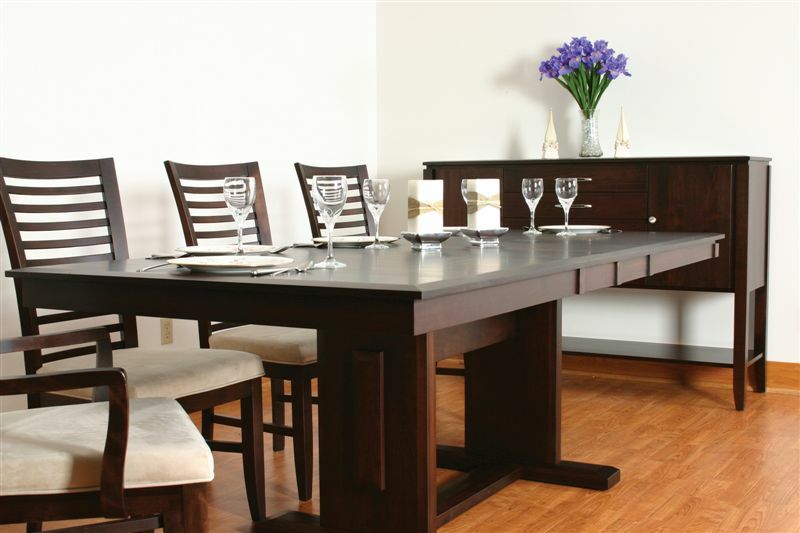 Woodworks Dining — Shop for deals on furniture, sofas, recliners, dining sets and more! Operating in the Fraser Valley region of British Columbia, Canada, Woodworks is renowned for woodworking, their craftsmanship being a major part of the company’s success. Woodworks is committed to providing high quality furnishings from solid wood such as Oak and Maple, built to last a lifetime. Their plant is highly praised in the industry for its state of the art equipment and layout. Many of the craftsmen at Woodworks have been loyal to the company since the early eighties, when it was developed from a one-man operation. Handcrafted since 1982, Woodworks now offers quality solid wood furniture curated into carefully selected collections for living and dining. Creating the finest wood furniture built to tough out any Canadian weather, Woodworks is the very best in solid wood furniture for living and dining.